Read about Freeholder Jeffrey Nash focusing on the community and going out on his own...read more. Jeffrey Nash, a lawyer and longtime public official in South Jersey, is slated to leave the law firm he's spent nearly three decades in order to launch a solo practice in Camden...read more. Lawyer Jeff Nash, a longtime ally of South Jersey political boss George Norcross, is taking "a leap of faith." After nearly 30 years with Cozen O'Connor, he is starting his own firm focused on community-based projects, neighborhood redevelopment and revitalization in Camden...read more. 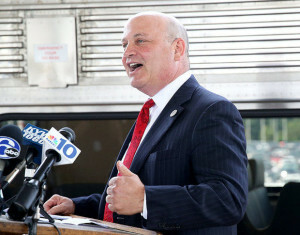 The Nash Law Group is to begin operations July 6 in Camden. The general-practice law firm will focus on “community-based projects, neighborhood redevelopment and revitalization,” according to Nash, vice chair of the Delaware River Port Authority...read more. 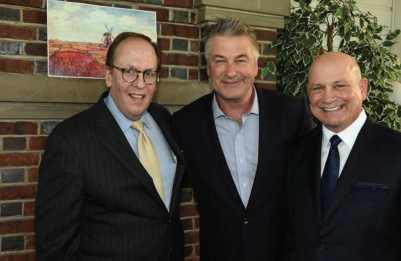 Pictured, from left, are Stradley Ronon Stevens & Young chair of government and public affairs John R. Saler, actor Alec Baldwin and Jeffrey L. Nash on June 1 at the Collingswood Grand Ballrom for the General Majority PAC fundraiser...read more.